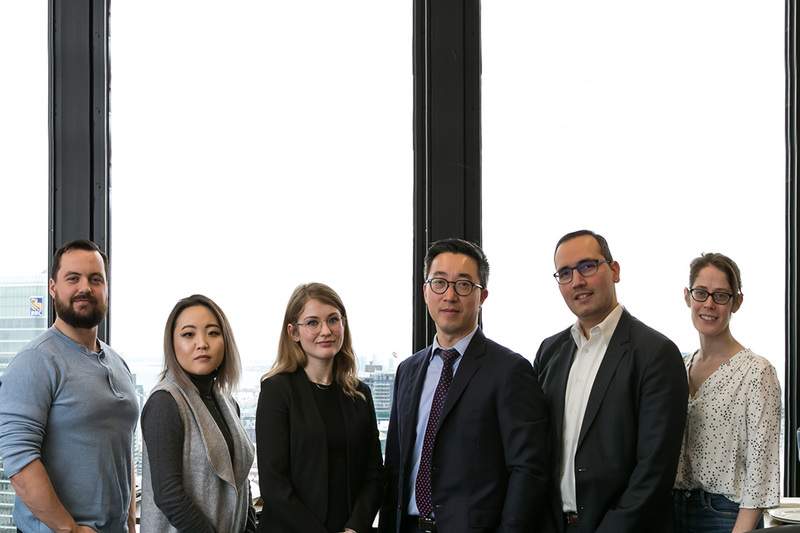 A University of Toronto Faculty of Law externship seminar course, thought to be unlike anything offered by other Canadian universities, is helping balance the scales of justice, as students lend their talents to some of the best criminal appeal lawyers in Canada. In just four years of existence, the legal arguments and research generated through the student course work have weighed in on a string of benchmark appellate and Supreme Court victories, including decisions on privacy, sentencing and insanity pleas. Along the way, students have been getting rare exposure to appellate court work before they even graduate, often with career-changing results. “That experience with the appellate externship definitely affected my trajectory,” says Jessica Bishara, a law school graduate in 2018 who is now clerking at Ontario’s Superior Court of Justice. Inspired by law schools in the United States that offer appellate and Supreme Court clinics, the externship is being overseen this year by Associate Professor Vincent Chiao and the other lawyer/instructors who helped conceive the program, including U of T alumni Nader Hasan, Michael Dineen and Jonathan Dawe (who was recently appointed a Superior Court judge, and so will not be continuing as an externship overseer), as well as Gerald Chan of Osgoode Hall Law School. Externships are a temporary training program offered to students that give them access to a workplace. “This is the only law school clinic or externship of its kind in Canada focused on appellate and Supreme Court advocacy,” says Chiao. Enrolment in the seminar is limited to four third-year students. “This is by far the most popular externship on campus and the hardest to get into,” says Chiao. The students work with Chiao or his law school colleague, Associate Professor Simon Stern, and more closely with the adjunct-professor lawyers, to help research legal issues, draft memos and contribute to factums. Law students have been involved in virtually all the pro bono and legal aid appeal cases the four lawyers have handled, says Hasan. They have also played a key role in the Ontario Court of Appeal inmate duty counsel program, a crucially important court-led initiative to help unrepresented litigants who have been denied legal aid, he says. All four adjunct professors in the externship are on the court program’s duty counsel roster, which requires they argue multiple cases a day against well-resourced Crown attorneys. “Arguing those cases with the resources brought to bear against a lawyer acting pro bono is an immense amount of work, and the students help fill that gap,” says Hasan. This year’s cohort of students have been adding to that legacy, generating original research and new legal perspectives on everything from sentencing guidelines for Indigenous defendants to police tactics in “Mr. Big” sting operations, which are starting to generate appeals to the Supreme Court of Canada. Mr. Big stings involve undercover police officers pretending to be members of a made-up criminal organization who try to recruit a suspect in order to extract a confession for another crime. While the Criminal Code states Indigenous heritage needs to be considered in sentencing, the research law student Glen Tucker is conducting suggests that directive is applied inconsistently at best. Instead of giving a discount to Indigenous defendants, he is finding that courts in some jurisdictions are reconsidering where the line is between serious and non-serious offences. “It doesn’t look good for the policy of taking those factors of Indigenous heritage into consideration,” says Tucker, who is putting together a table of the stats for a sentencing appeal he’s working on with Dineen. He says the experiences he’s had with the externship helped solidify and confirm his career goals. Law student SuJung Lee was researching jury instructions and gained fascinating insights into how evidence from Mr. Big operations is being handled by trial courts, a factor that only recently began to make its way to Supreme Court appeals. “Because there is so little precedent for this at the Supreme Court level, it’s been a real challenge finding cases that are on point,” says Lee. Lee says the externship has helped hone her research skills and familiarity with legal databases. Kenzie Bunting says the externship has been a contrast to the criminal defence work she did as a summer student in a law office. One of her high points so far was seeing her research incorporated into a submission that stumped the court, which had expected to rule the same day. “They actually had to go away for a few days to consider their decision, which was really cool because it meant we gave them particular facts that were a real thinker,” says Bunting. Dawe says the work varies from year to year, but it is always valuable for both the lawyers and the students. “They get to see their work being used in real cases that have real consequences for real people,” says Dawe. The criminal appeal bar is a small and distinct practice and can be difficult to break into without the kind of early exposure the externship provides, adds Dineen.